Bike Rentals are a perfect option for the savvy traveler or adventurous urban explorer. 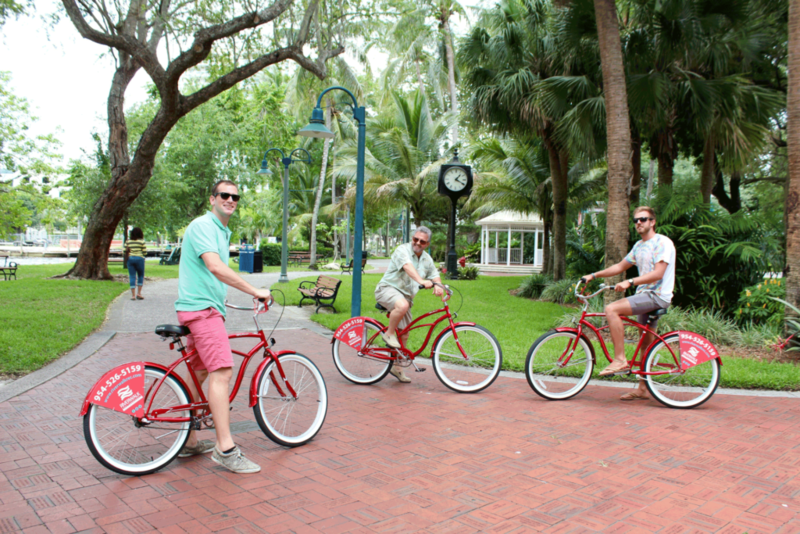 Riverwalk Activities rents bikes for an awesome self-guided biking experience around Fort Lauderdale. Our fleet of beach cruiser bikes are expertly maintained and fun to ride. Additionally, all of our bikes come with a front basket. Start by choosing your preferred date and time for your bike rentals. After that, stop by our office and we’ll have your bikes ready and waiting for you.